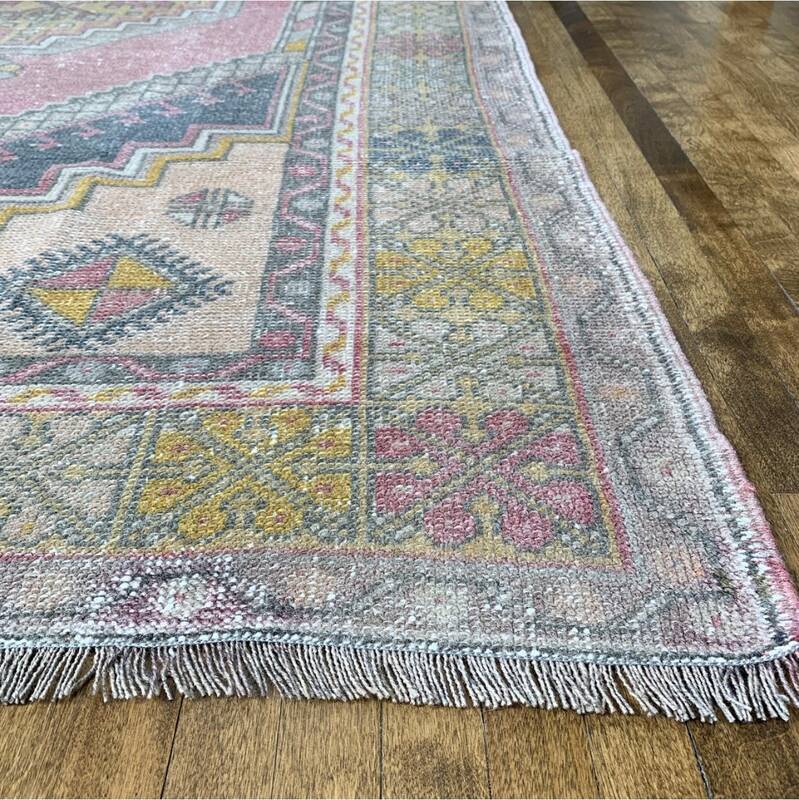 All the heart eyes for this really sophisticated vintage Turkish rug in faded, muted colours. 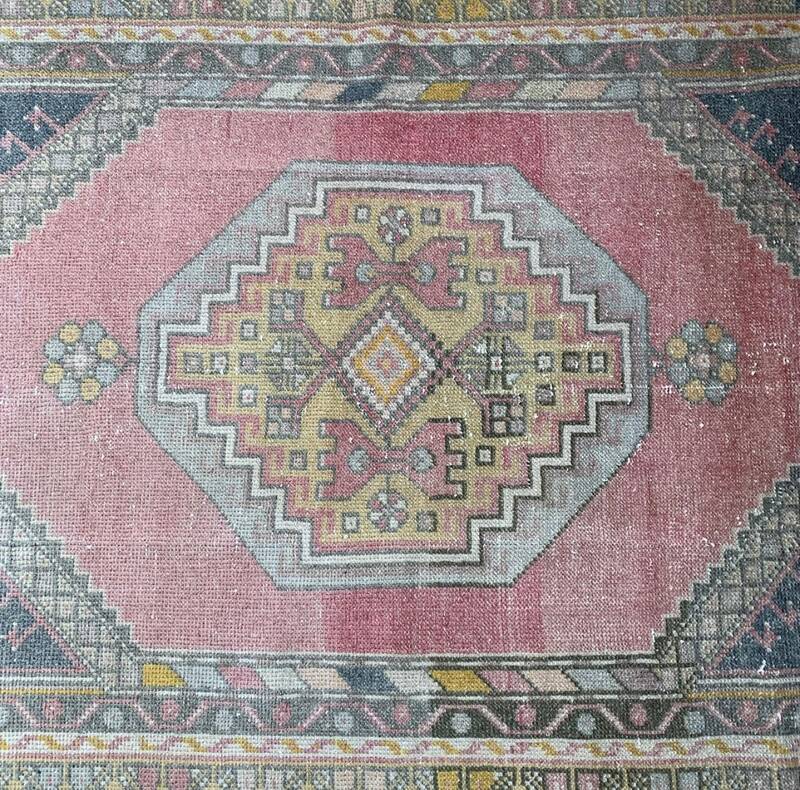 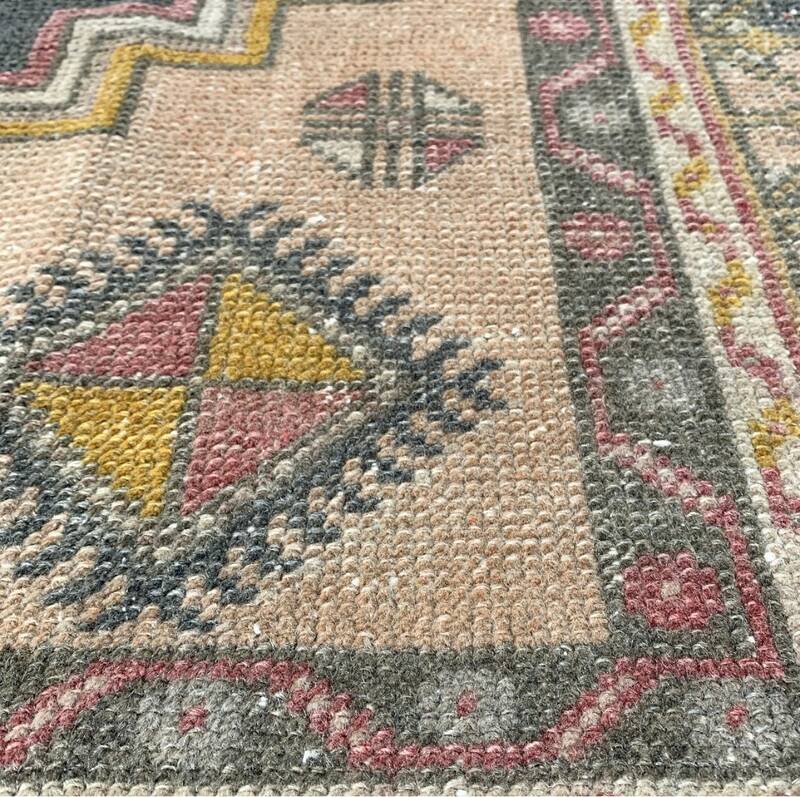 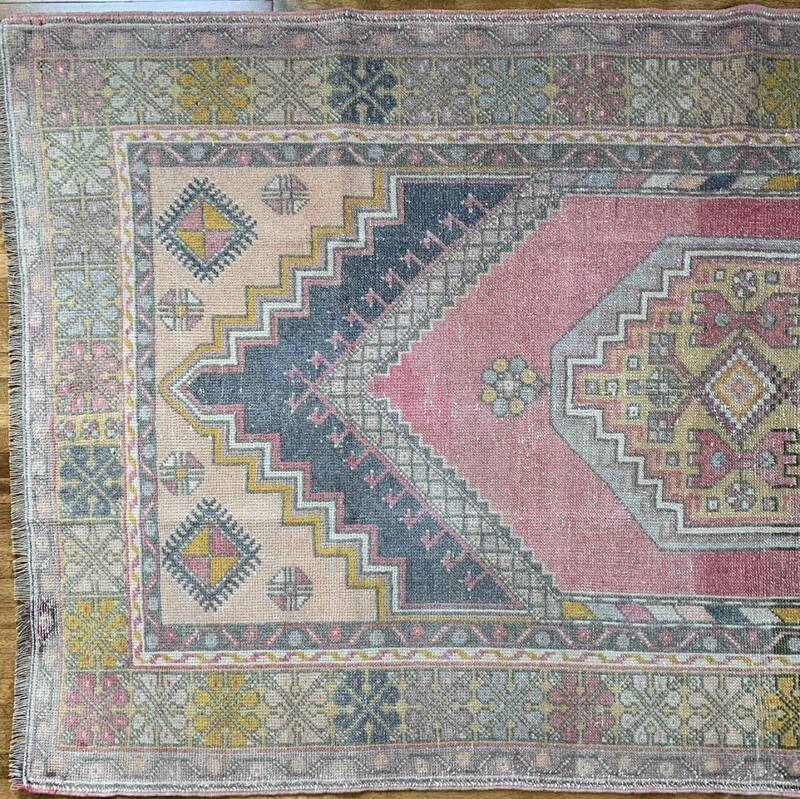 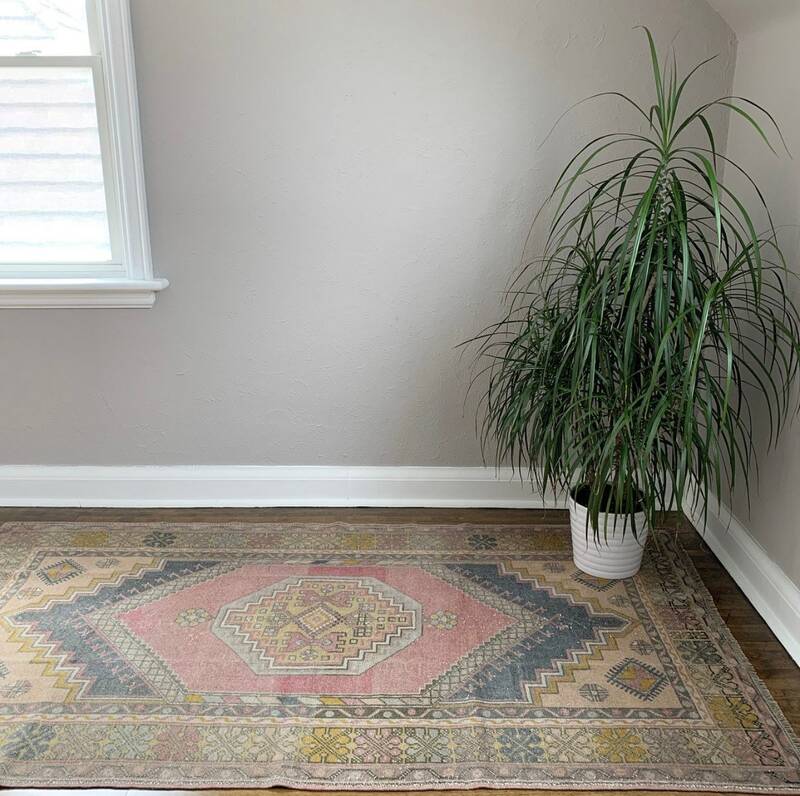 Dating from around the 1940s, this excellent condition vintage beauty boasts some of of the most intricate floral and geometric designs we’ve seen on a rug of this size. 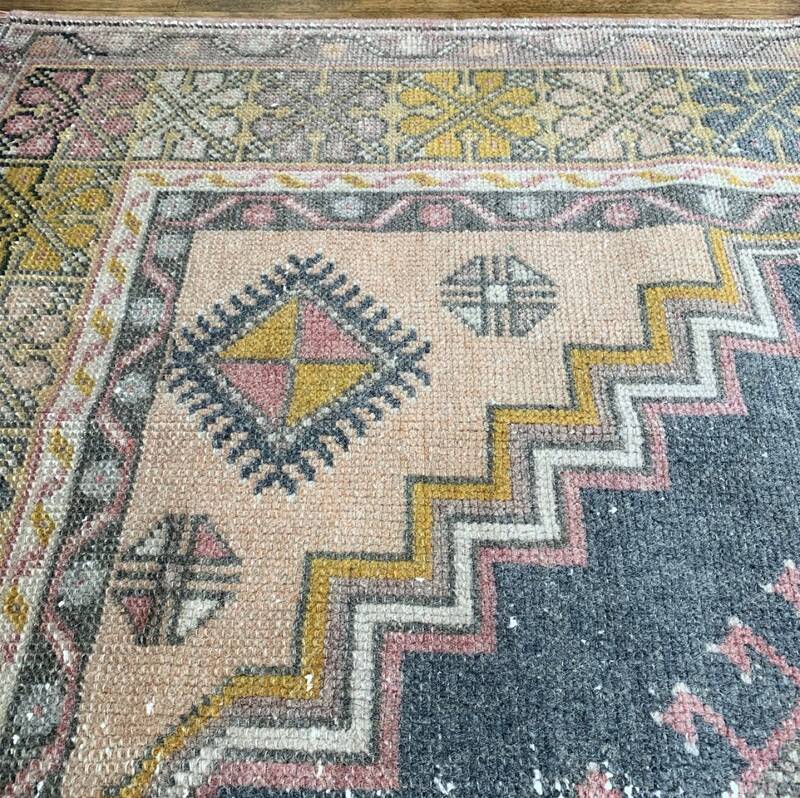 It’s a work of art! 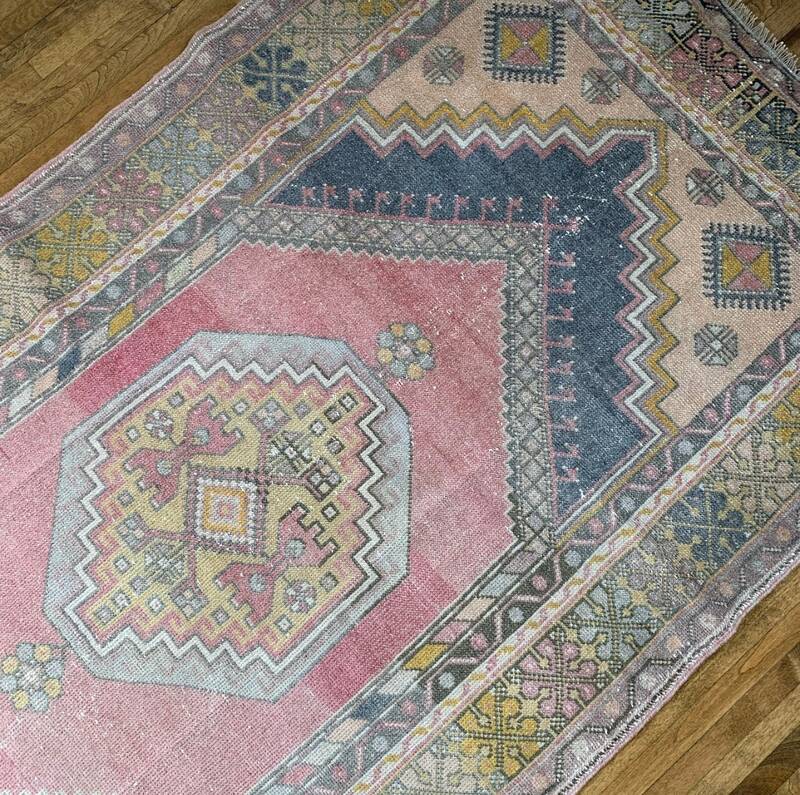 A great size for a living room, bedroom, kitchen or office, this rug will ground your room and add some colour. 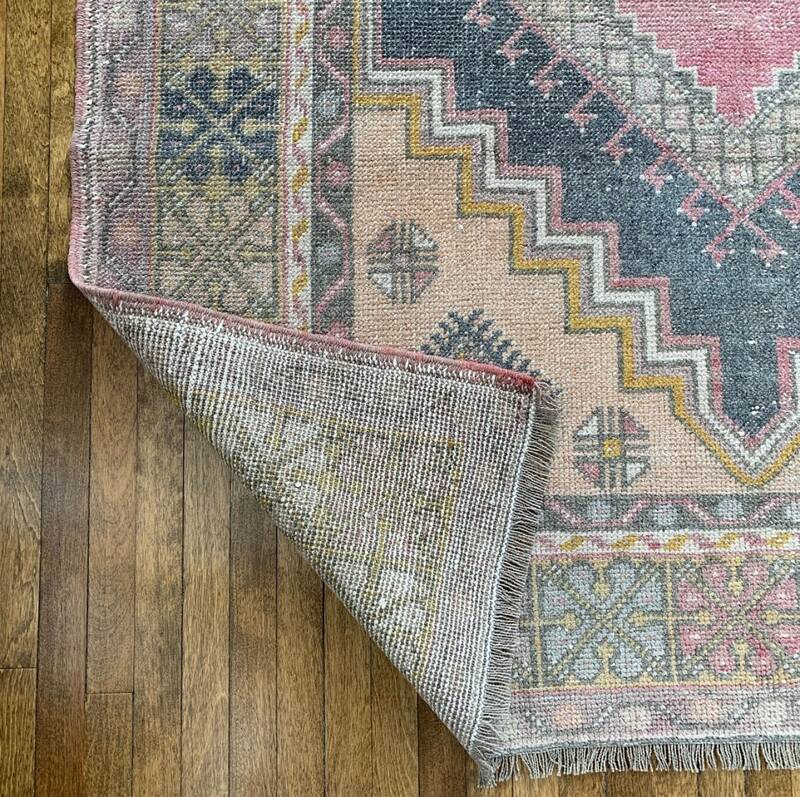 Turkish Oushaks are very durable and can stand up to high traffic areas, regular vacuuming and spot cleaning. 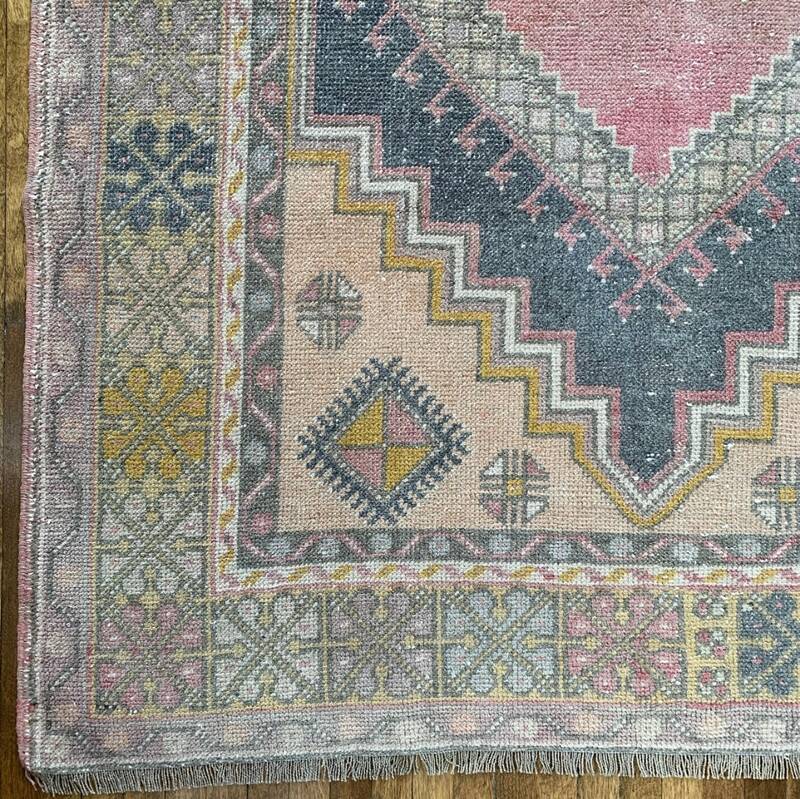 Colours: Muted pink, with details in faded blue, grey, peach, mauve, pistachio and yellow. 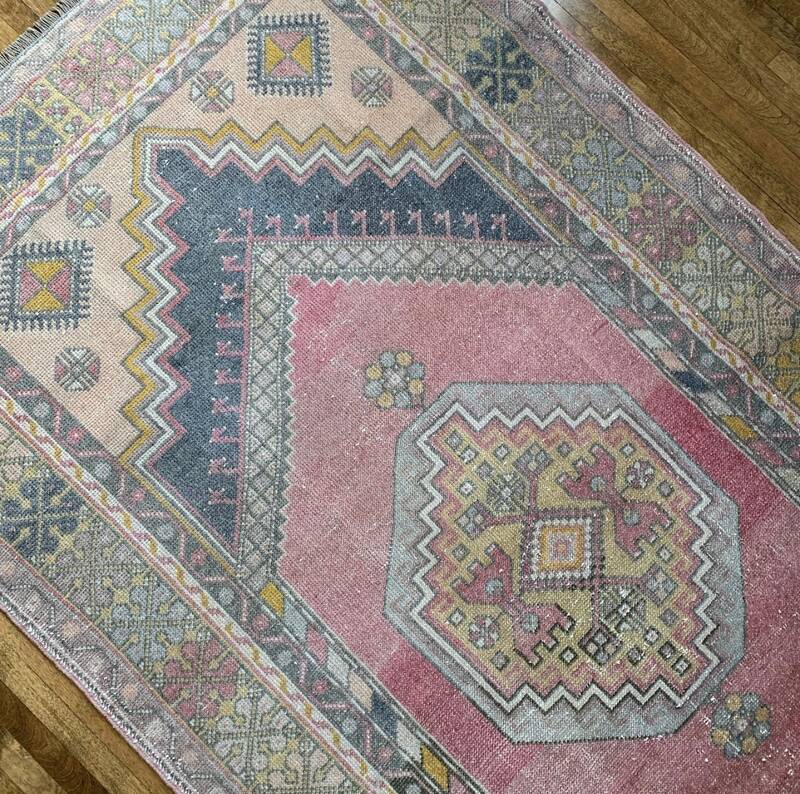 This rug has been professionally cleaned and is ready for your floor.